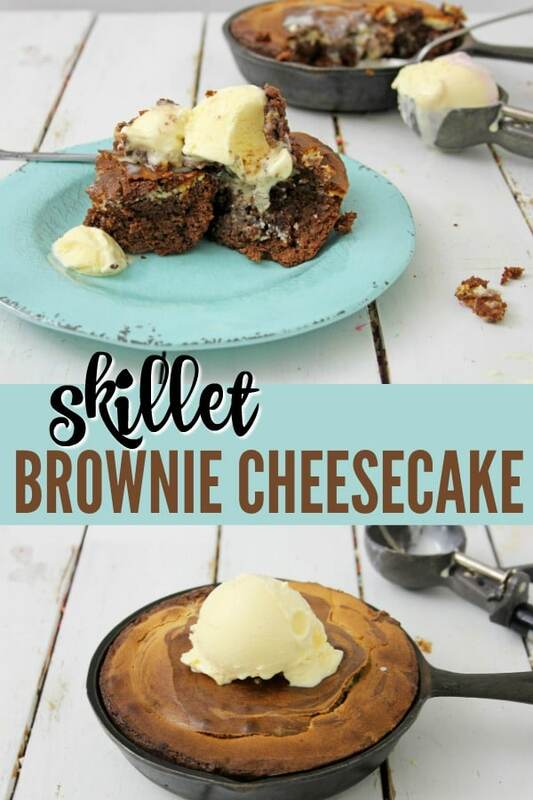 The most amazing Skillet Brownie Cheesecake Recipe! A dessert with all the flavors chocolate lovers, and cheesecake lovers, love! A delicious cheesecake recipe that is easy to make, and perfect for the end of a great meal, or for a fabulous treat. You will crave the delicious flavors long after you first try it. Imagine a warm chocolatey brownie that’s a little crunchy, but gooey in the center, a burst of cheesecake, and cool ice cream to top it off. It’s definitely a favorite at our house! 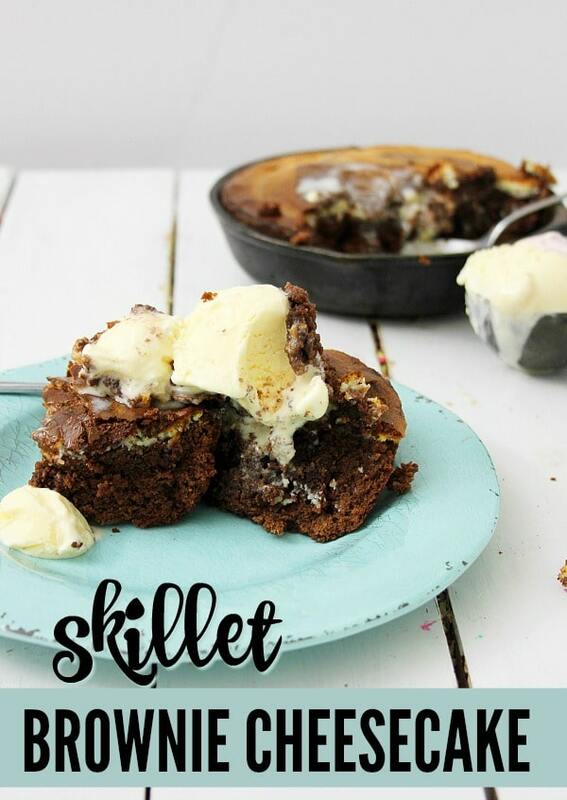 Love skillet recipes? 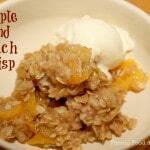 Try our Skillet Cinnamon Rolls, Breakfast Skillet, Skillet Haddock or Skillet Banana Oatmeal. 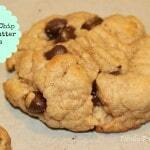 All are easy to make and perfectly delicious! Makes 2 – 4 servings; 2 servings if served in the skillets as individual desserts, or cut in half, and serve, making 4 servings. In a mixing bowl, combine the sifted flour, baking powder, and salt, and stir well. In a small bowl, or measuring bowl, with a pouring spout, place the chocolate chips and chopped chocolate, and place in the microwave on 10-second intervals, stirring between each interval, just until chocolate is melted. When chocolate melts, set aside to cool. In the mixing bowl of a stand mixer combine the softened butter, and sugar, and mix with the whisk attachment until light and fluffy. Add the eggs, vanilla, and melted chocolate, and blend until all ingredients are well blended. Add the flour mixture, a little at a time until all flour is added to the chocolate mixture. Remove the bowl from the mixer, and scrape down the sides and stir all unmixed ingredients until blended. 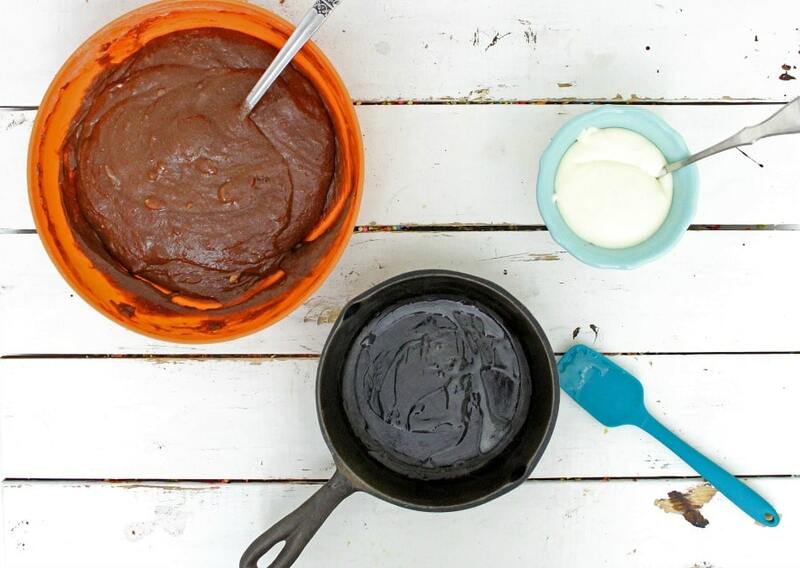 Spray the iron skillets with cooking spray, and set brownie batter and skillets aside. 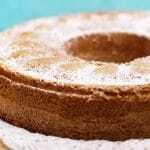 In a blender, combine the softened cream cheese, egg, vanilla, and sugar until smooth and creamy. Pour half of the brownie batter into one of the skillets, and the other half in the second skillet. Remove the lid from the blender, and pour the cheesecake in the center of the brownie batter, and fill the skillet almost full. Place skillets in a 350-degree oven for 30 to 35 minutes, or until a toothpick inserted in the center comes out clean. 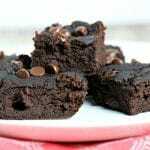 When brownies are done, remove from oven and allow to cool for 20 minutes. Serve in the skillet, topped with ice cream, or your favorite toppings, or cut brownies and serve on a plate topped with ice cream, or toppings of your choice. The perfect partner for ice cream! 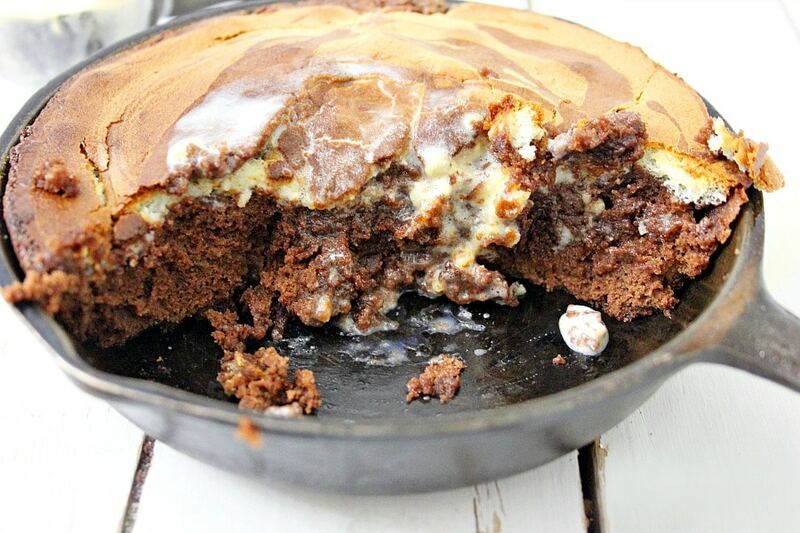 A delicious brownie combined with cheesecake and made in a skillet. The perfect partner to ice cream or your favorite topping. In a mixing bowl, combine the sifted flour, baking powder and salt, and stir well. In a small bowl, or measuring bowl, with a pouring spout, place the chocolate chips and chopped chocolate, and place in the microwave on 10 second intervals, stirring between each interval, just until chocolate is melted. When chocolate melts, set aside to cool. In the mixing bowl of a stand mixer combine the softened butter, and sugar, and mix with the whisk attachment until light and fluffy. Remove the lid from the blender, and pour the cheese cake in the center of the brownie batter, and fill the skillet almost full. Place skillets in a 350 degree oven for 30 to 35 minutes, or until a toothpick inserted in the center comes out clean. 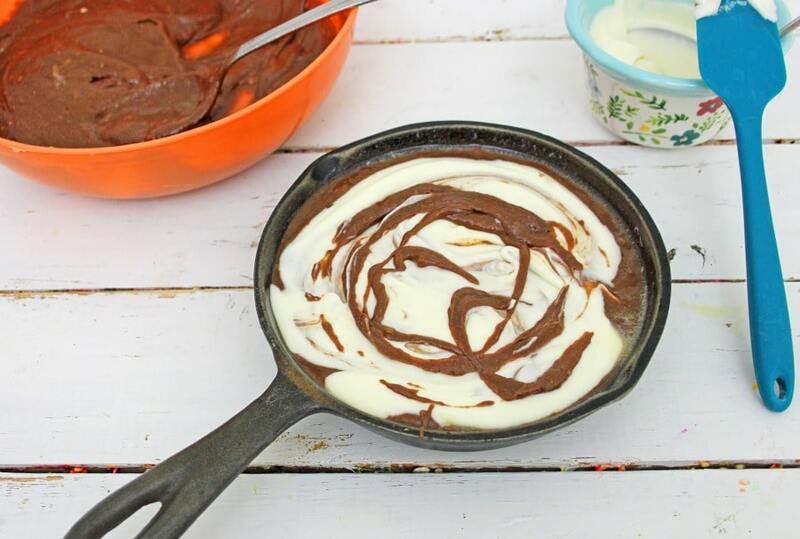 Serve in the skillet, topped with ice cream, or your favorite toppings, or cut brownie's in half, and place on a plate to serve, topped with ice cream, or toppings of your choice. 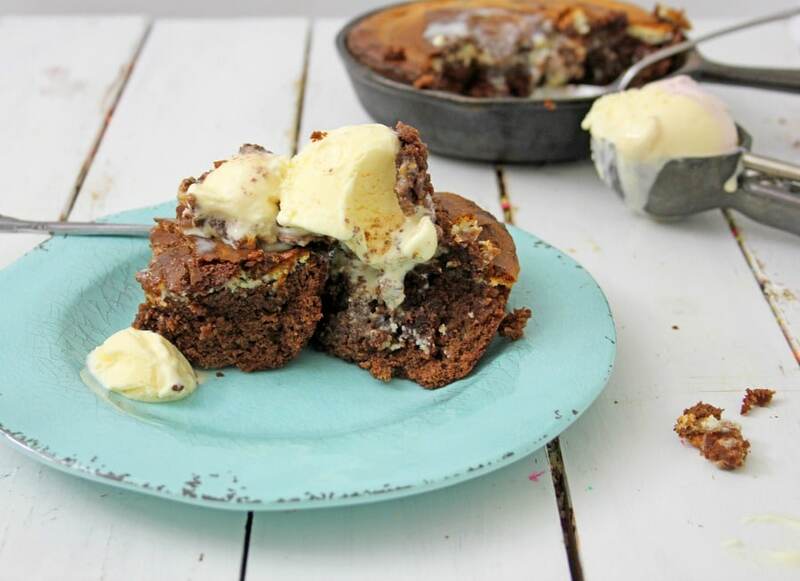 Isn’t brownie and cheesecake a marriage made in dessert heaven! This looks delicious! I was thinking to myself, if a person prepped everything beforehand, if this would work for camping? I think it would be awesome. This brownie cheesecake looks amazing! I know my husband would flip if I made this!! This looks absolutely divine! I need to make this asap! Your recipe looks absolutely amazing! I’m pinning it for later so that my daughter and I can eat it up! This looks so good. The ingredient list itself reads like a list of my favorite things. This couldn’t look any more perfect! I have to make this dessert this weekend! Oh, that looks so yummy! I’m drooling! The brownie cheesecake looks amazing! I can’t wait to try this coming weekend! I am now craving after seeing this. It looks so good! Yum!